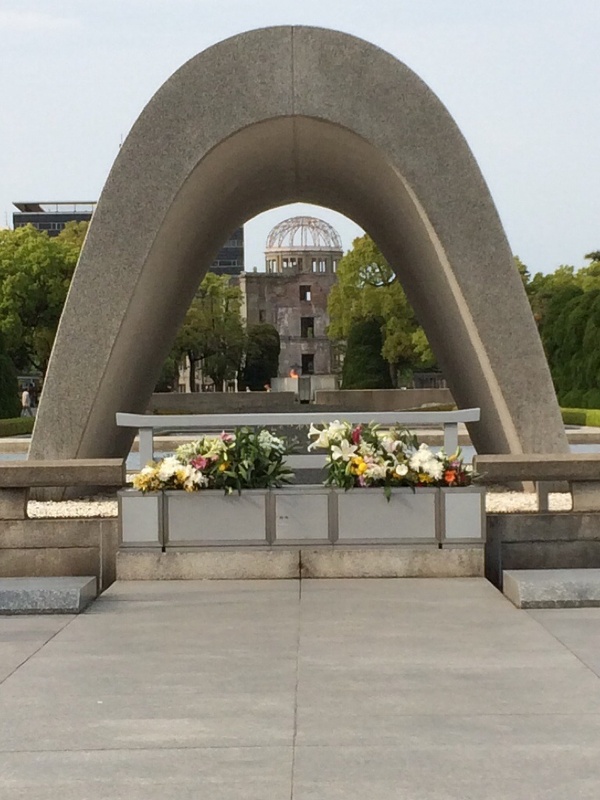 The Memorial in Hiroshima’s Peace Park, with the Atomic Dome in the background. And a very interesting lively city it is too – with the slight oddity that nothing in the central area is older than 1945. It’s hard to hold in your head that this place is also that place – even when visiting the Peace Museum and seeing the before and after pictures of the city. Maybe that sums up the problem – how to reconcile the creativity, resourcefulness and co-operation which brought Hiroshima back to life, with the cruelty and inhumanity of war, of the war which led to the atomic bombing, and the horror of the bomb itself. What odd beings we are that we can demonstrate such love and such hatred. Hiroshima is not a sign of resurrection, but of resuscitation. That’s a miracle enough (as Lazarus would testify). Hiroshima reminds me that we human beings need more, we need resurrection. We need to step off our treadmill of the human cycle, with its evil and even its good, and step into something completely different. Easter is the eighth day of week – the beginning of a new creation. All our best instincts yearn for that, our best endeavours point towards it, but it can only be given to us, not achieved. You just sparked a trawl through the thesaurus and I think I am just gripping the difference between resurrection and redemption. There was hatred for the Japanese, but I do not believe that the decision to bomb two of their cities was driven by hatred. Successful wars need to be informed by much clearer thinking than hatred, even if it is as destructive to those who are in the way (from both sides). This is important because pacifism needs to offer practical solutions different from those of war; it is not sufficient to contrast hatred and love.